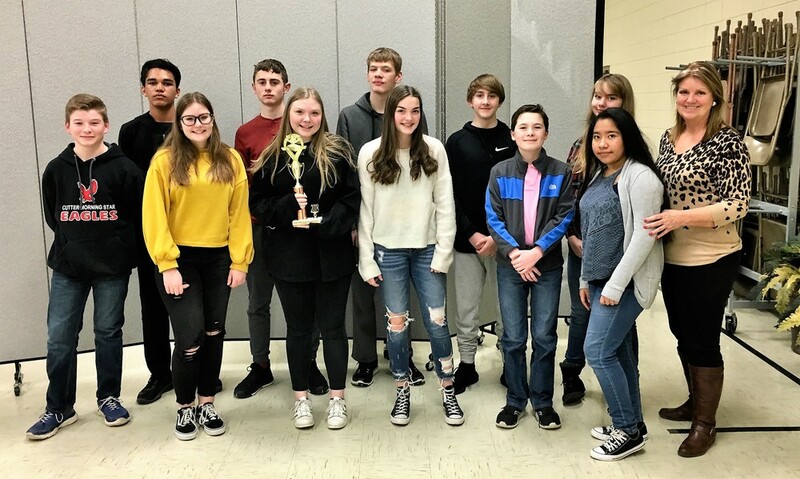 The 2A Southwest AGQBA - Jr. High Quiz Bowl Regional Tournament was hosted by CMS at the Grand Avenue Baptist Church on Friday, February 1, 2018. The Cutter Morning Star Jr. High Quiz Bowl Team won the Third Place Trophy and has qualified for the 2A State AGQBA J. High State Tournament on Saturday, February 24, 2018 at Maumelle High School in Maumelle, AR.